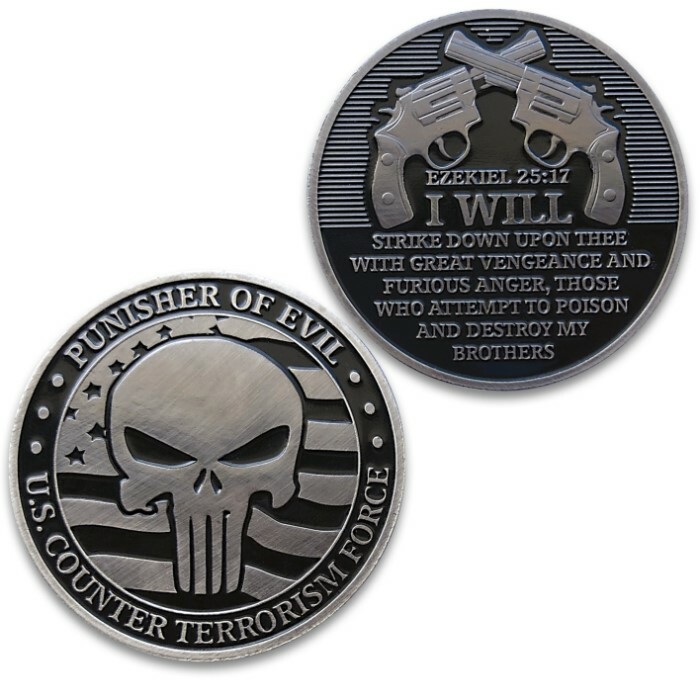 Punisher Of Evil Challenge Coin - Crafted Of Metal Alloy, Detailed 3D Relief On Each Side, Collectible - Diameter 1 5/8” | BUDK.com - Knives & Swords At The Lowest Prices! 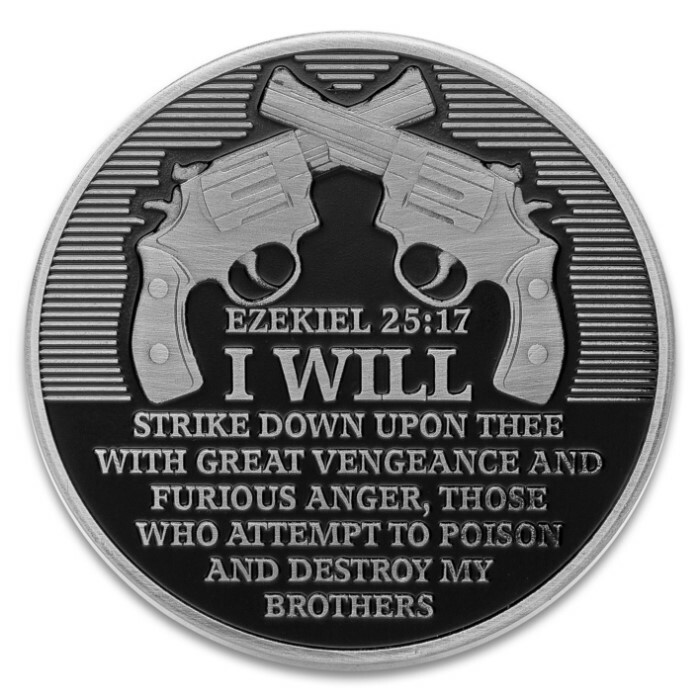 Carry this challenge coin in your pocket, in your gear or in your vehicle as a reminder of the Bible verse, Ezekiel 25:17 and its charge against terrorism and those that do harm. The 1 5/8” diameter coin is crafted of metal alloy and features a detailed 3D relief on both sides. One side has the iconic Punisher skull and the words, “Punisher of Evil; U.S. 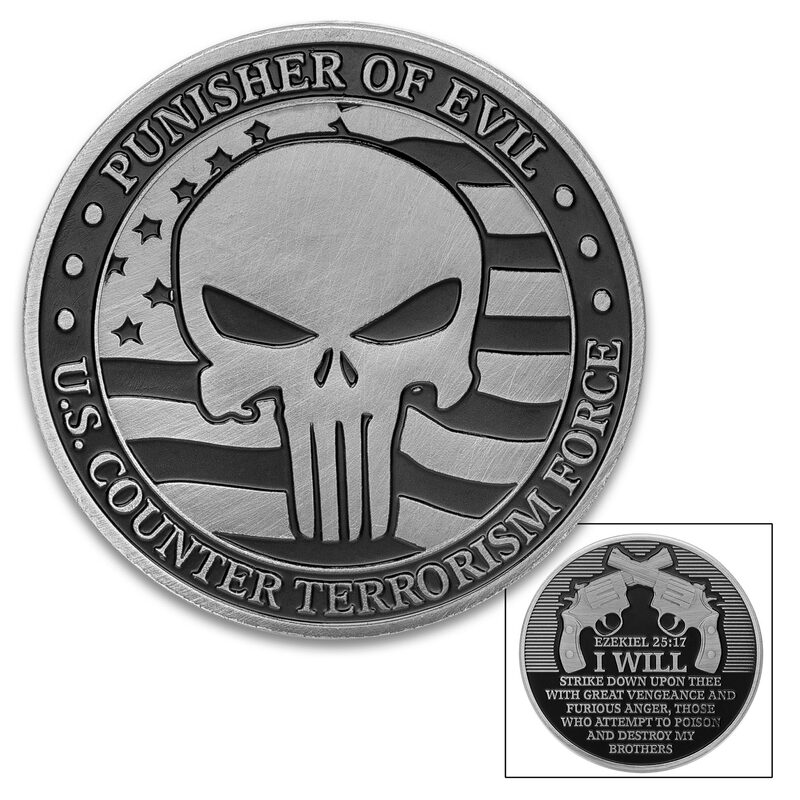 Counter Terrorism Force.” The obverse side features the Bible verse made famous in popular culture, Ezekiel 25:17, and two crossed pistols. This challenge coin is the perfect everyday carry for those warriors who fight the day-to-day evil!